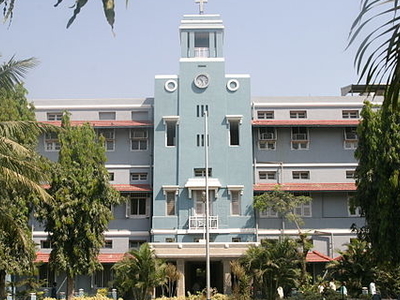 Christian Medical College and Hospital, Vellore (CMC Vellore) is one of the largest medical centres in India. And also CMC Vellore ranked 2nd top medical college in India next to AIIMS, Delhi. This century-old Christian institution was founded by Ida S. Scudder and is in the city of Vellore in the southern state of Tamil Nadu, India. There are a number of distinctive features of CMC courses. All of them, including nursing, are taught by qualified, experienced faculty who participate fully in the clinical and administrative operations of the hospital. The courses are extremely practical, with students learning skills on the job in clinical and working laboratory settings. While providing a full exposure to the very best in hospital medicine, there is also a strong emphasis on community and family medicine, and students spend time in rural community settings and small secondary hospitals. There is a commitment to nurture and mentor the students to enable all round growth in social and spiritual spheres as well as intellectual. One of CMC’s key roles is to help train the skilled and caring medical professionals who are desperately needed for hospitals throughout remote and rural areas of India. The education fees are amongst the lowest in the World for a private institution. Students from economically disadvantaged backgrounds are helped still further through scholarships that can cover all fees as well as hostel accommodation and food. This ensures that no one needs to be burdened by an education loan to study at CMC, and many can then go on to serve in deprived areas of India. Research is an integral part of the mission of CMC, having a wide and long-lasting impact on the nation’s health. Over the past century, CMC has contributed significantly in generating and advancing knowledge which has improved curative and preventive medical services locally, throughout India and internationally. The main thrust is orientated towards cost effective solutions to health issues where the need is greatest, in order to optimise the use of resources. However research also improves both teaching and clinical standards through fostering a spirit of enquiry and ensuring that faculty remain up to date with the latest medical advances. CMC is engaged in cutting-edge research into the causes and treatment of diseases, and collaborates with hospitals and universities throughout the world. It is one of the leading contributors of medical research articles in India. There are numerous research programmes funded by national and international agencies as well as through internal resources. It is the home of the South Asian Cochrane Network and Centre and the internationally recognised Infectious Diseases Training and Research Centre and boasts a state of the art Stem Cell Research Centre funded as a centre of excellence by the Indian government. CMC has over 7,600 staff, including over 1,200 doctors and 2,400 nurses. Most of these people are involved in providing medical care although they may have teaching and research responsibilities. Almost every clinical specialty is catered to, and many departments are subdivided into units each of which may have particular expertise in specific areas as well as providing services of a more general nature. For example the Division of Surgery is further broken down into eight units specializing in Head and Neck Surgery, Endocrine Surgery, Vascular Surgery, Colorectal, etc. CMC is particularly well known for certain departments such as Gasteroenterology, Neurosciences and Haematology (where it is a national leader in the treatment of rare blood disorders and bone marrow transplantation). It also gives high importance to less prominent specialties such as Rheumatology, Physical Medicine and Rehabilitation, Developmental Paediatrics and Palliative Care. Ophthalmology and Psychiatry departments are located on different campuses, as is the Rehabilitation Institute. Here's the our members favorite photos of "Universities in Vellore". Upload your photo of Christian Medical College! Pondicherry Agent is the only Touristlink member to visit Christian Medical College. Have you been here? Click here to save it.